It was really quite sad to say good bye to Sri Lanka as we left beautiful Unawatuna beach for the airport at 4am. 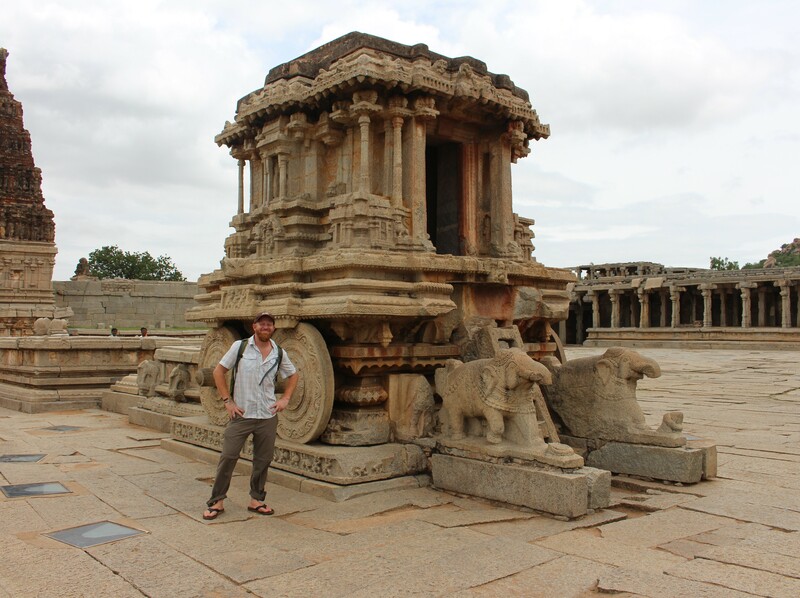 Such an amazing time we had had but it was time to make our way to the subcontinent of India. 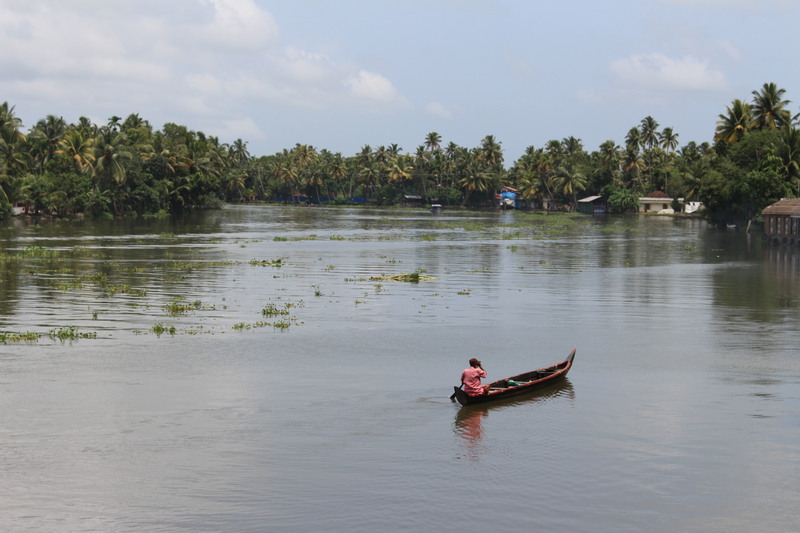 A long bus ride and a short flight from sunny Colombo and we landed in the southernmost Indian state of Kerala around noon. It was grey and rainy. Ugh. Our first destination would be the beach town of Varkala, a place often recommended by fellow travelers, guidebooks and fiends alike. But it was monsoon season you see and we arrived to a near deserted ghost town in heavy rain and soon discovered the beach was under 10 feet of raging brown water. As it is this type of year. Whoops. “UNAWATUNA!” we yelled, our arms reached outward to the sunshine and sparkling waters in Sri Lanka a few hundred kilometers away. Spending a day in Varkala we quickly recognized the egregious error of our ways and decided to press on, disheartened and in search of something very different. 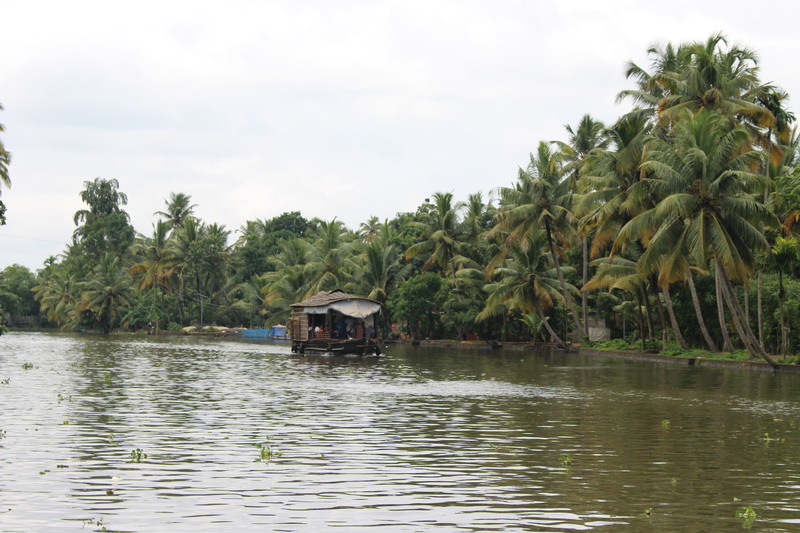 Now the state of Kerala is most famous for its “backwaters”, a massive series of lakes, rivers and channels that stretch for hundreds of kilometers throughout the lush green landscape. 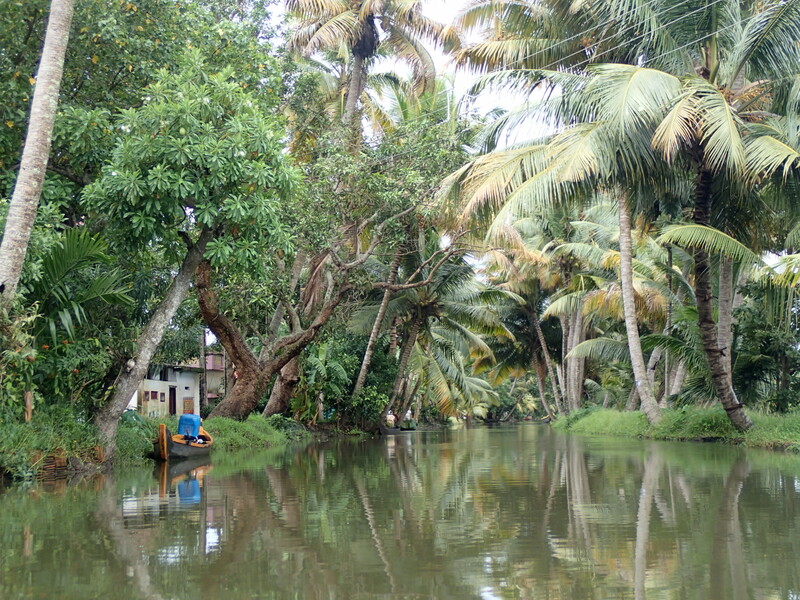 Our next stop, Alleppey, is a primary jumping off point to countless backwater adventures, so we set up base there to plan some fun. Making a pair of friends at the hostel on our first day, the four of us decided to rent a two bedroom rattan tea barge style houseboat (complete with chef and crew) for a few days to head out onto the waters. What an incredible experience! For two days our two story boat meandered lazily through canals, lakes and rivers with us lounging about on couches watching villages, fishermen and rice patties go by. At one point we stopped at a small hut on the palm tree lined river to purchase fresh fish and massive tiger prawns which our on board chef then cooked up exquisitely for us to eat on the roof patio of our boat. The traditionally prepared and flavorful food was outstanding. 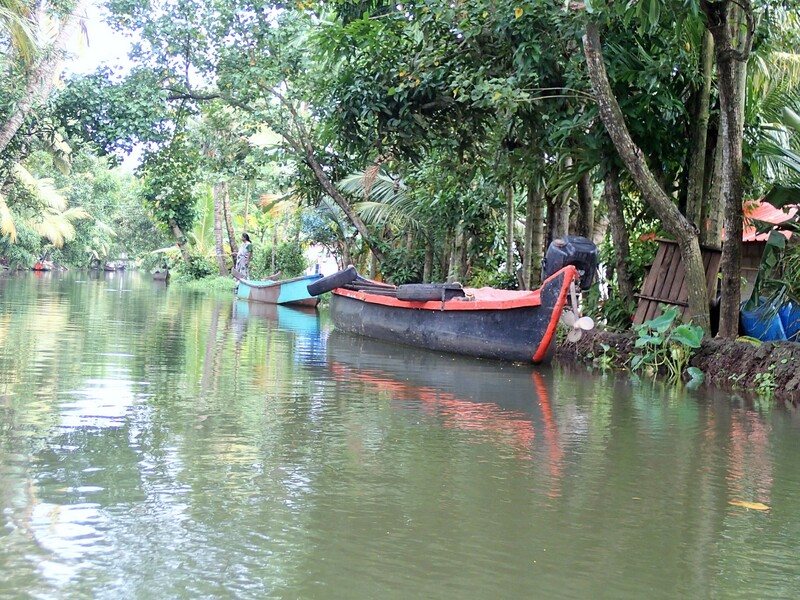 One afternoon while it was lightly raining we rented canoes and paddled through some of the smaller interconnecting canals upon which local villages are built. It was fascinating to see life on the canals as people fished from their front porches and did laundry in the river since there are no cars or roads in the area. Everyone has a canoe moored out in front of their small homes for transportation. They truly live on the water. The tree lined canals were so quiet, peaceful and immersed within nature you couldn’t help but be a little bit in awe of the people who lived in this beautiful setting. Spending the night on the water is always a treat and that evening our rustic houseboat was the perfect place to enjoy the sounds of nature all round us as the river current lapped gently on the hull. Giant fresh Tiger Prawns for dinner! 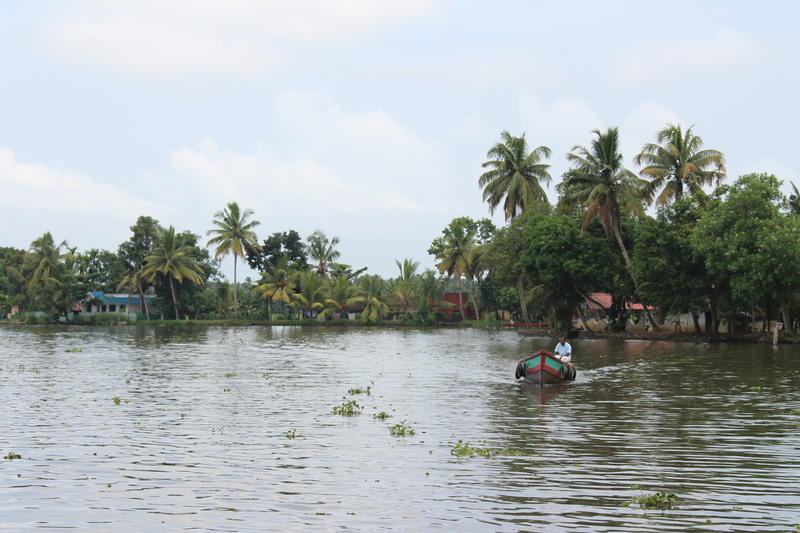 From Alleppey we would continue our northward progress through Kerala to the port town of Fort Cochin, simply called “Kochi” by the locals. 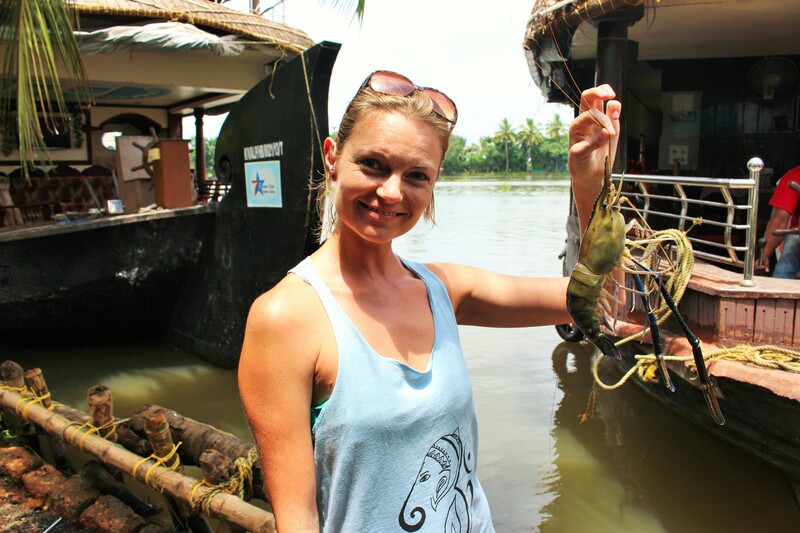 This would turn out to be one of our favorite places in India and a few days visit quickly became a week as we unwound and enjoyed the many pleasures of cosmopolitan Kochi. Walking the beautiful fort town is a joy unto itself as there are countless beautiful roads and historic buildings throughout the area. Along the waters edge are a large number of huge 19th century Chinese Fishing nets on cantilevered wooden frames which are still in use today. Fresh fish is sold at tables all along the shoreline and local restaurants will happily fry, boil or grill it up any way you like. 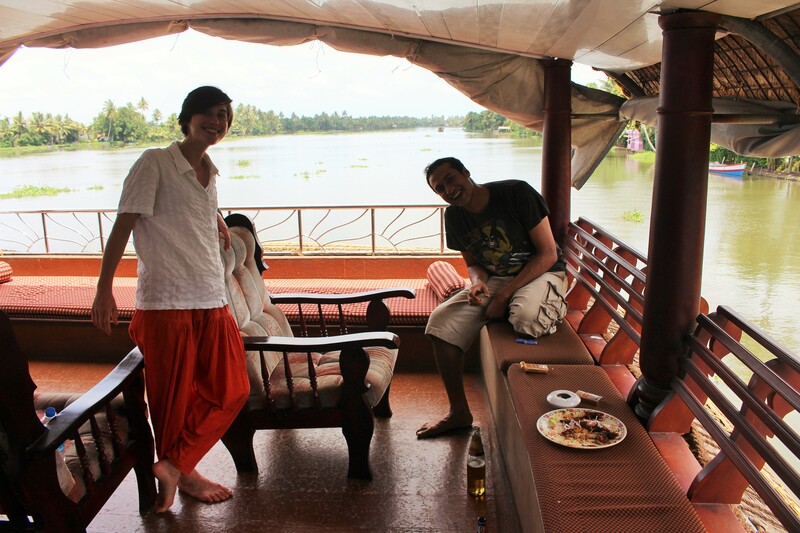 The food in Kochi we would happily discover is some of the tastiest and thoughtfully prepared in all of India. Fresh seafood, delicious curries, etc. You name it, Kochi does it right and with love. 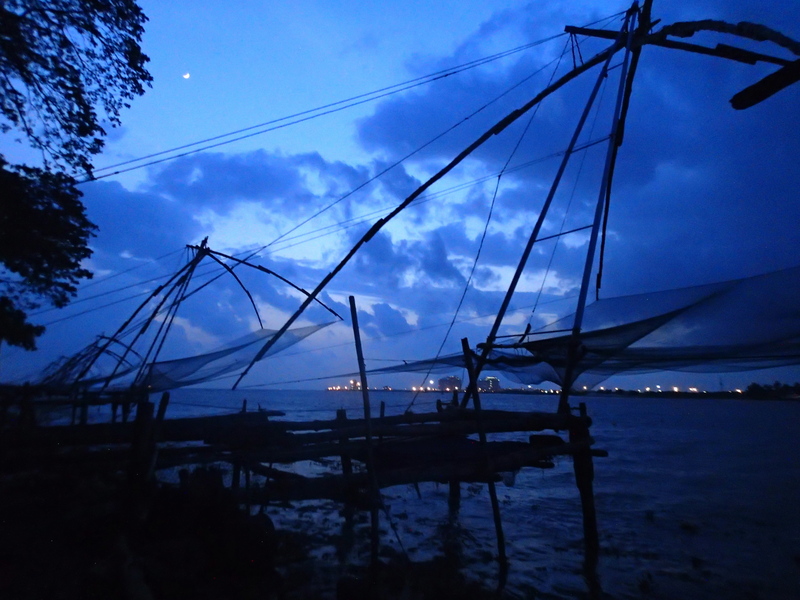 On our third day in Kochi something pretty unexpected and special happened. 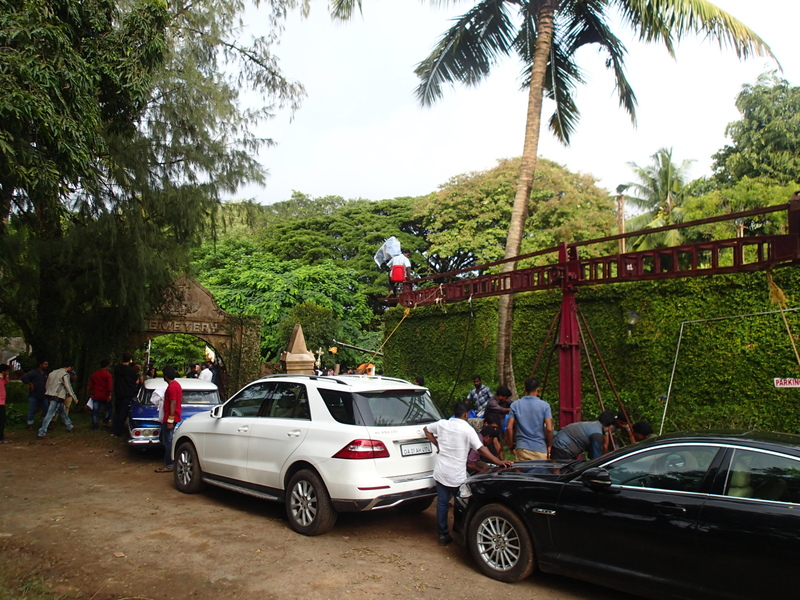 We were approached and asked to be in a Bollywood action movie as extras! And they would even pay us for the experience. So the next day we were picked up on scooters and taken to set where we would spend the day playing the cousins of the Russian Mob boss of course, a rival gang to the Indian mobsters… we think. No one really spoke English on set so we kind of made up our own storyline from bits we put together! Compared to sets we’ve been on in California this was quite the experience. 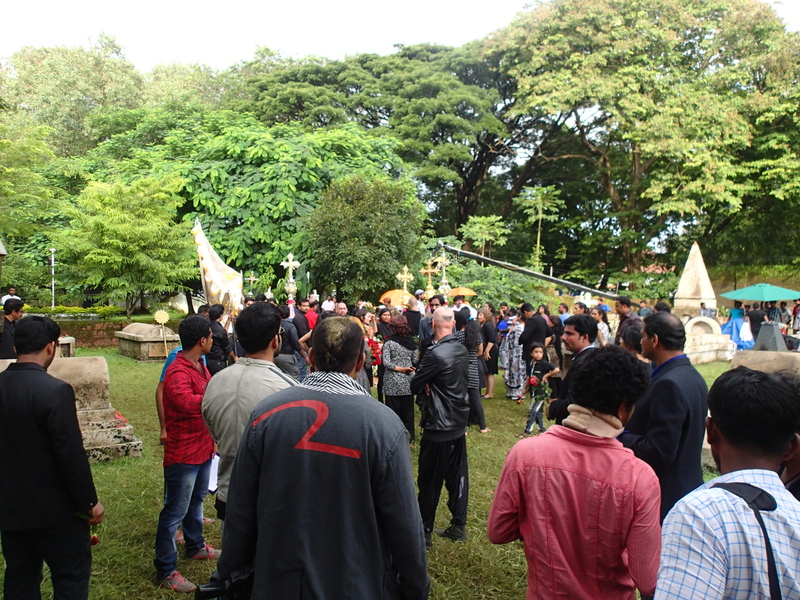 So much manpower was used, at one point there were probably 200 people on set for scenes that would have used 20 people in the States. Very different but so much fun. The film is called Double Barrel and should be out soon so check your local Indian video stores! 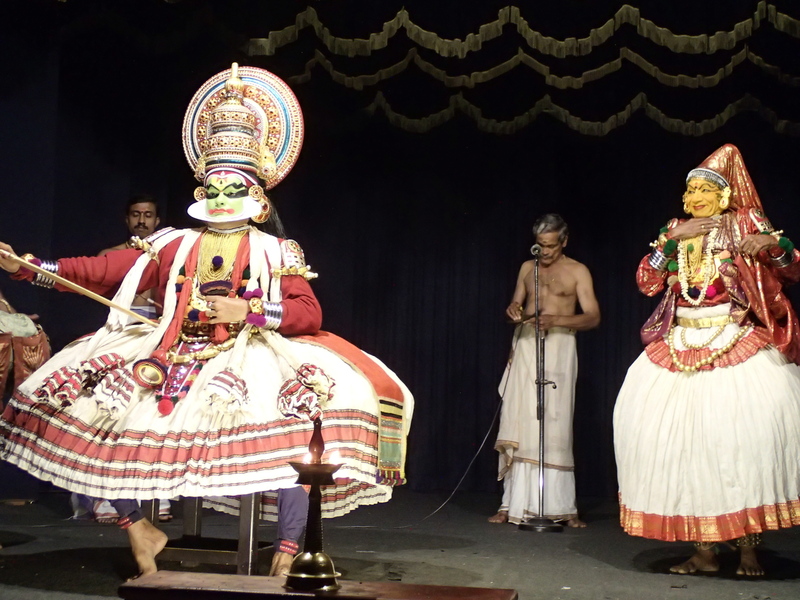 (Bit torrent) Our next endeavor in Kochi would be to see a Kathacari show. Kathacari is an amazing traditional dance theater style that involves elaborate costumes and makeup with most of the storyline being told entirely through the incredible exaggerated facial expressions of the actors. They train for years to learn how to convey all of a characters possible emotions through facial movements. Even more incredible is those who regularly would watch the performances could understand entire tales of love and tragedy through watching the faces of the performers. All to the beat of traditional drums! It was one of the most unique and spellbinding performances we’ve seen on this trip, hands down. Unreal. After a week of enjoying Kochi, we decided to continue our long journey north and next stopped at the former regional capital of Mysore. 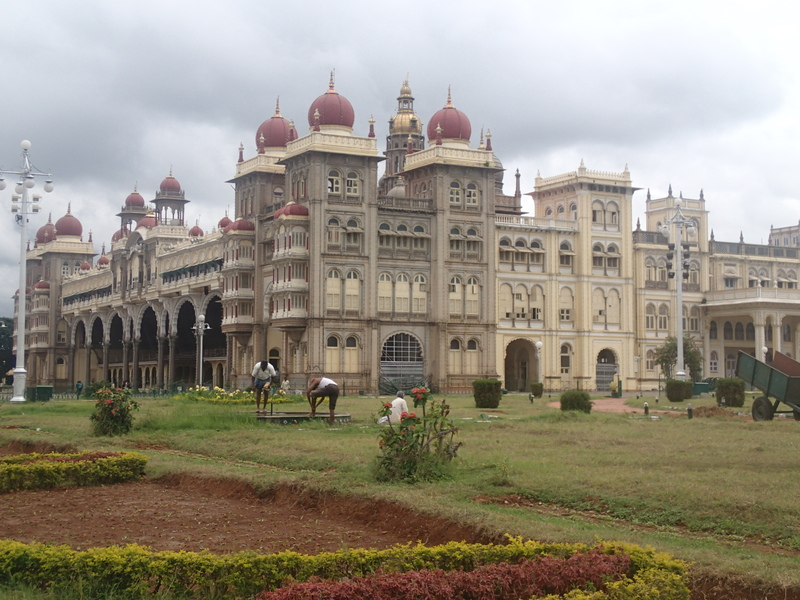 One of the most impressive structures we would see in India would be the incredibly ornate Mysore Palace. The former seat of the Wodeyar Maharajas, the Mysore palace is a grand collection of massive marble columned ballrooms and chambers adorned with spectacular stained glass domes and windows. Silver doors and mounted elephant heads only add to the heavily gaudy beauty of the magnificent palace. 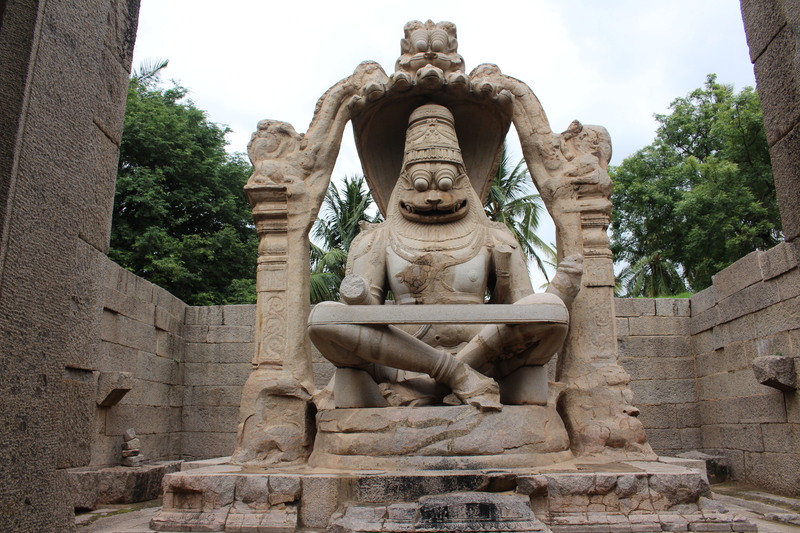 We spent a day wandering around its opulent corridors and grounds before choosing something a bit more down to earth for our next stop in Mysore. 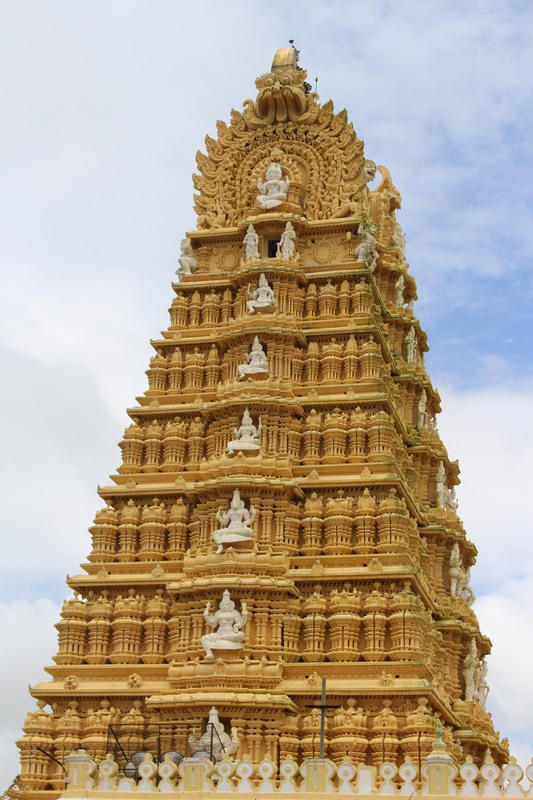 The beautiful Sri Chamundeswari Hindu Temple at the top of Chamundi Hill. 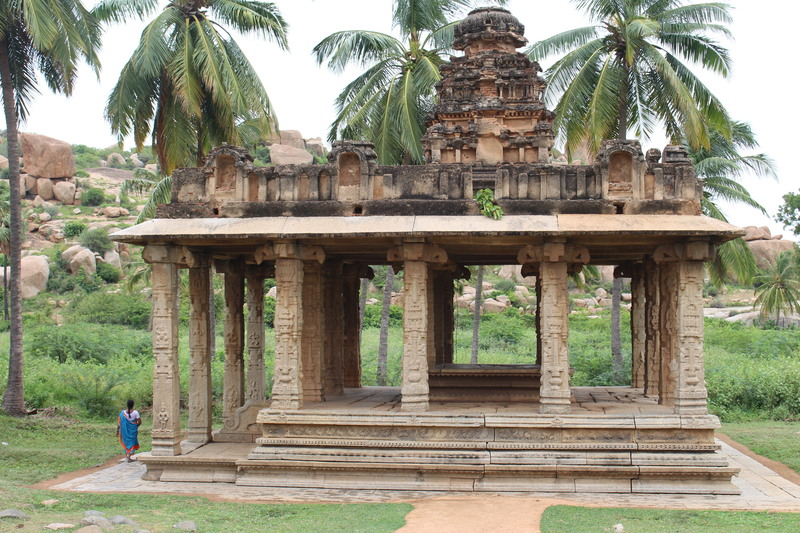 A fully functioning ancient temple which overlooks the entire valley, Sri Chamundeswari was a great first experience learning about typical Hindu worshiping practices and iconography. 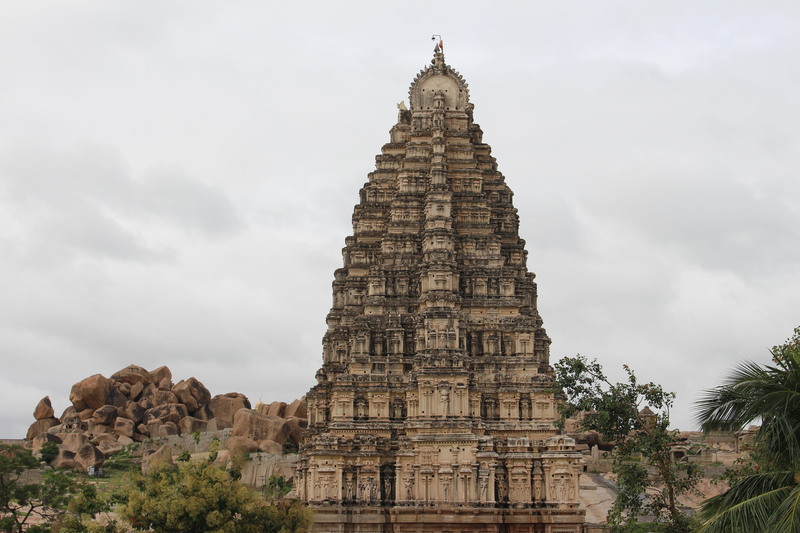 While walking through the incense laden temple corridors we received orange thumb administered Bindis on our foreheads from a monk and beaded Ganesha bracelets that we still wear today. 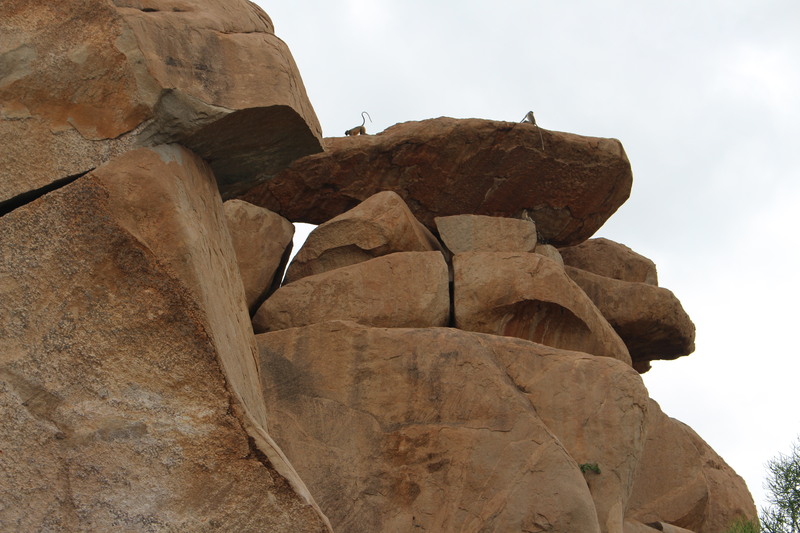 It was a great experience except for when Laura sat her drink down for a split second and a gang of monkeys descended out of nowhere to grab the cold beverage, startling the heck out of the two of us but making the locals laugh riotously. I feel like we make the locals laugh a lot on this trip, probably more often at us rather than with us but hey, spreading laughter around the world is spreading laughter around the world, right? I’m gonna keep telling myself that at least. 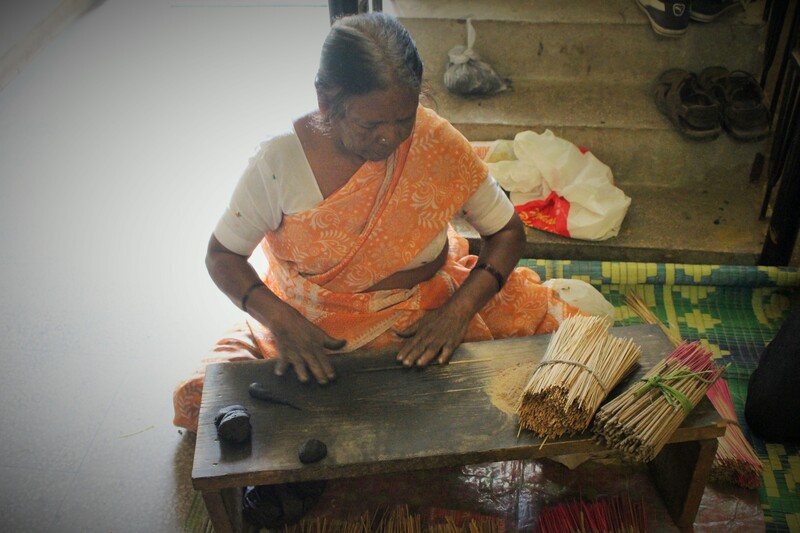 For our final stop in Mysore we went to the home of a local incense maker who showed us how they make incense sticks completely by hand while sitting on the floor of their house. The old lady making the sticks had clearly been doing it for a lifetime and could make one every few seconds with her still nimble little aged hands. 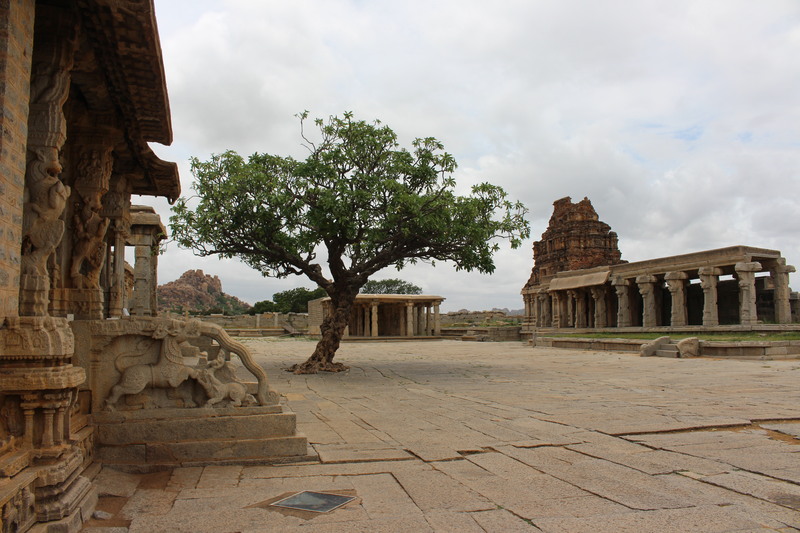 From Mysore our Indian adventure of discovery would take us further north, to what would prove to be possibly our favorite place in all of India, tranquil Hampi. 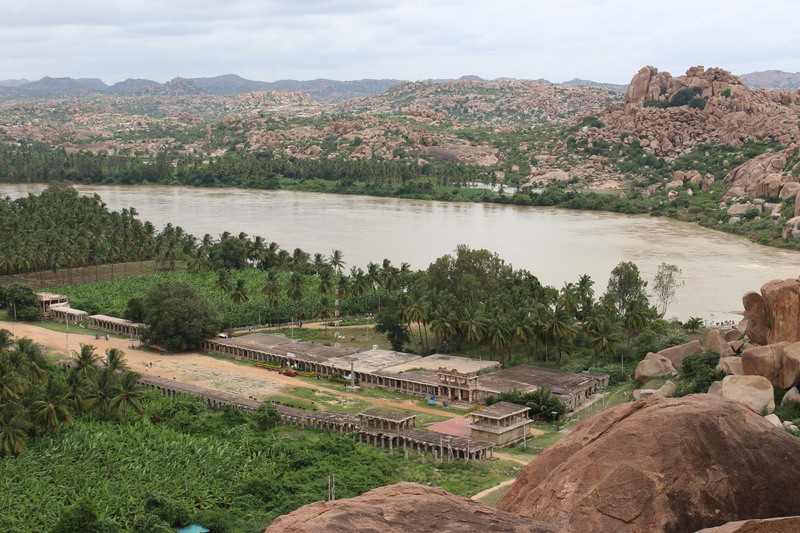 Known as the Forgotten Empire, the 500 year old ruins of the city of Hampi are an incredible sight to see, spread out throughout boulder and palm covered hills along the banks of the Tungbhadra River. 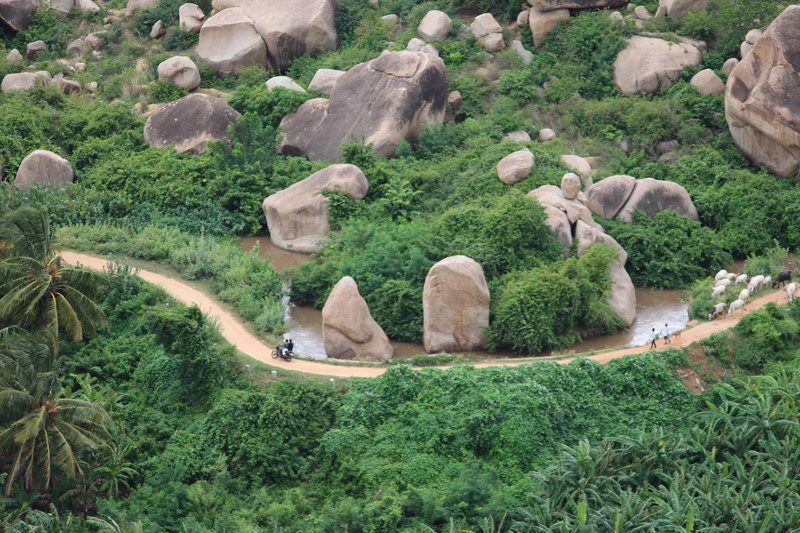 It is an absolutely stunning and awe inspiring place. It’s really very difficult to put into words. 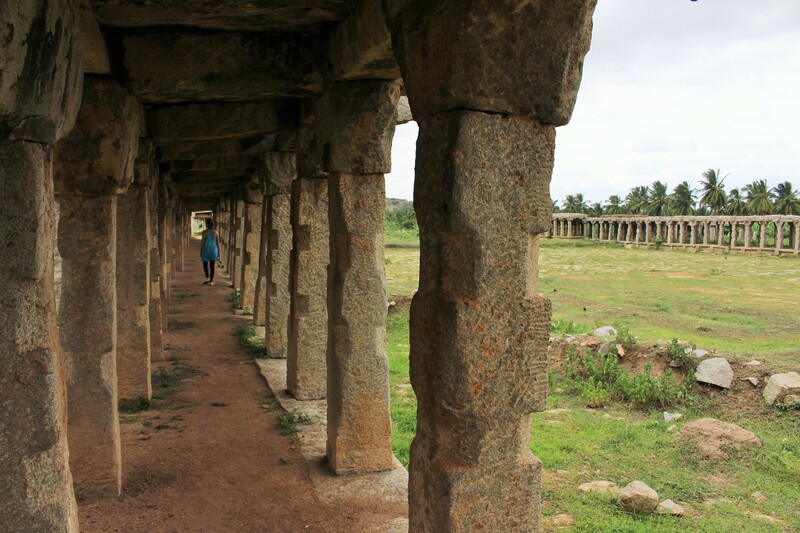 For several days we walked from hill to hill and valley to valley amidst some of the most beautiful temple and city ruins we’ve ever seen. 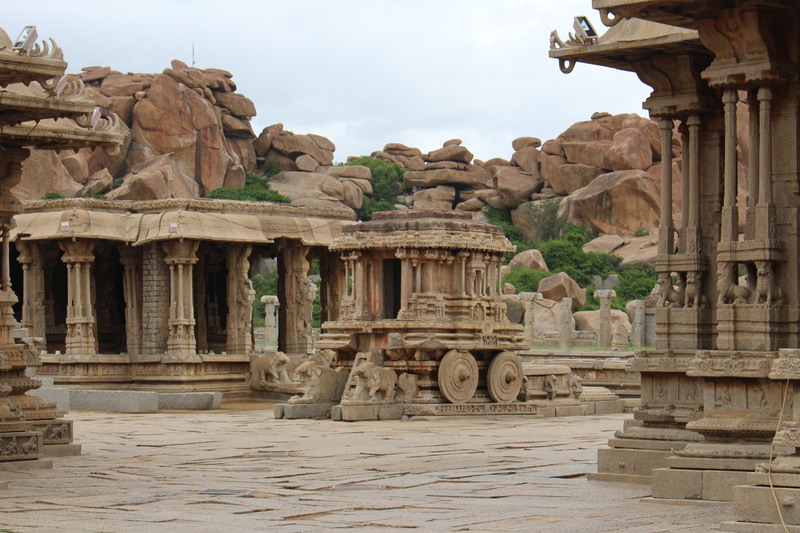 Ancient stone bazaars, statues of the elephant headed Ganesha, the unreal life sized Stone Chariot, small mountain top temples with views over the whole region and so much more. 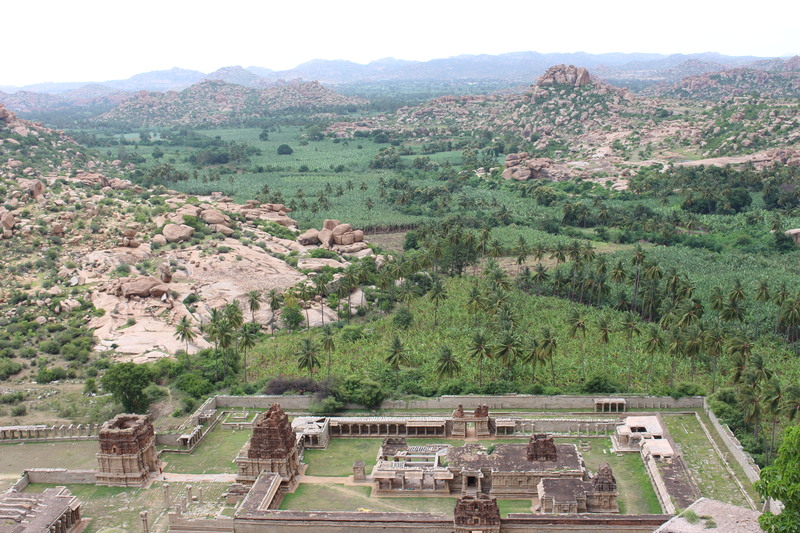 Hampi is a history and nature lovers dream world. 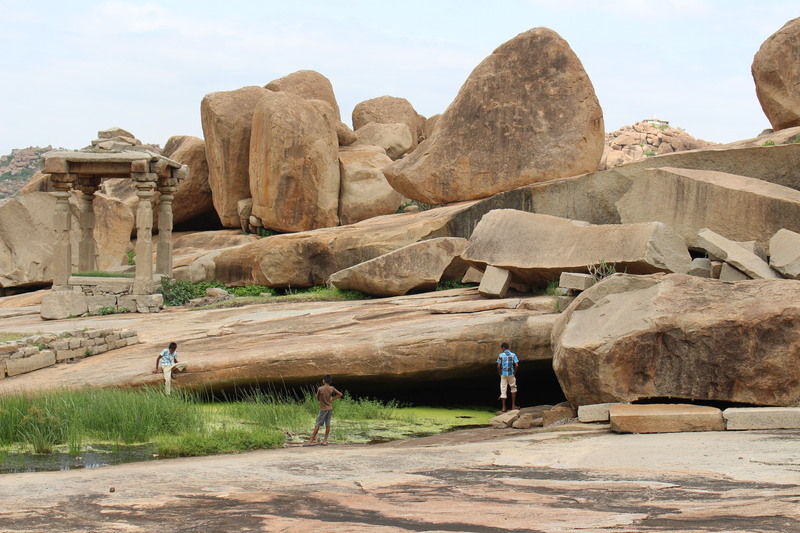 So as history and nature lovers ourselves, Hampi was a spellbinding embodiment of so much of what we’ve been looking for on this trip, and in one place. 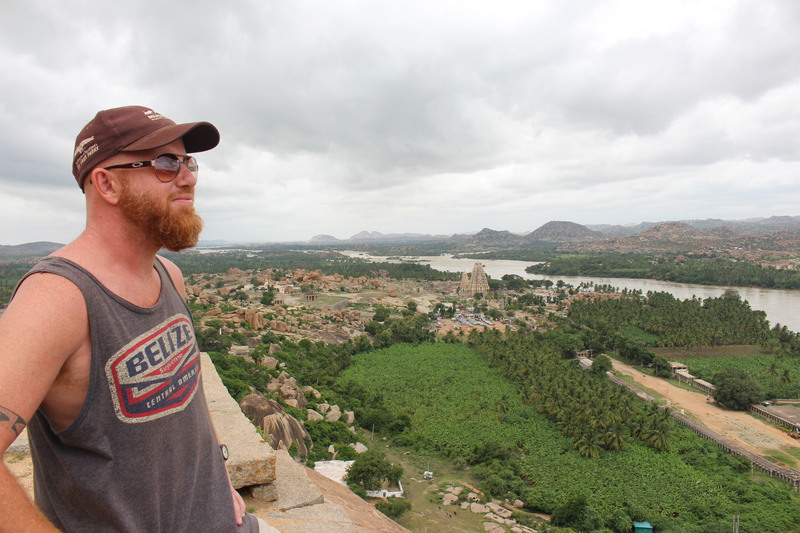 Hampi is a magical place, there I said it, and I highly recommend going yourself to see and feel just what I’m talking about.